Hard rock and sleaze in the air- as we love to feel it in bones everywhere. Swedish band from Stockholm seems actually unstoppable.. So, are you ready? New single from Babylon Bombs is available in 7 days! „It's a song written as a homage to a good friend of ours and his great rock ’n roll club, which we have played in so many times, since 2005. Cathouse is a kinda catchy-feel good song, perfect in that party-playlist before a wild night out!”- tells the band before secret will turn out to the rock world’s sunshine. 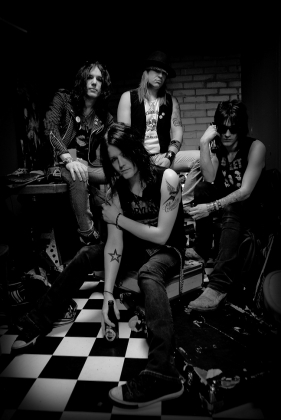 Spirit of sleaze is totally owns the tune, and also the audience will be rocked by listening that kind of cool and wild memories of great rock n’ roll times. The feeling and sounds are the same, as we used to, spiced it with a bit of fresh, but also nostalgic air. 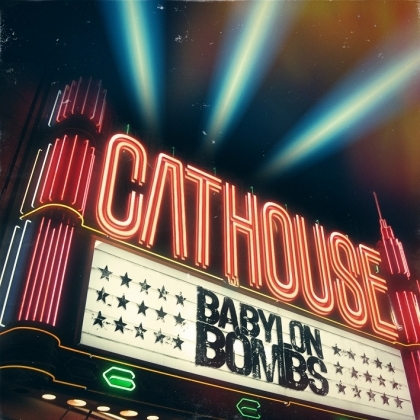 Till the next month tunes are "locked", but its only a few days remained now...„Cathouse will be released digitally everywhere on February 1st!”- spread the news the Babylon Bombs guys. So, let’s play it loud dudes and go crazy sleaze cats! Music never stops, as the song says right.